Want to get a job in business and management? Our BA Business Management (Professional Practice) degree allows you to take a year-long placement in industry during your course. During your final year you will work full-time with an employer in the business management sector alongside finishing your degree through block release and blended delivery. This approach lets you put your learning into practice at an early stage and build further experience in the workplace before you graduate. Standard undergraduate degrees typically take three years of study to complete. At Birmingham City Business School we also offer sandwich degrees, which are four years in length and incorporate a year-long placement in industry during your third year. Professional Practice degrees, however, combine the merits of both of these approaches in one degree, allowing you to complete your full degree and your year-long placement all within the standard three year period. Upon successful completion of your second year, you will embark on an industry placement for your third and final year. We have a dedicated team who will help you secure a placement directly related to your degree and career aspirations. As a Professional Practice student, you complete the same number of modules and credit as a standard degree except now your learning, teaching and assessments will be related directly to the real world experience you gain on placement. During your placement year you will be allocated a placement tutor and your practice based learning will be supported by some block teaching at the University supported by on-line learning activities. The Professional Practice pathway is perfect for you if you want the benefit of a placement year, but want your degree to be completed within three years. 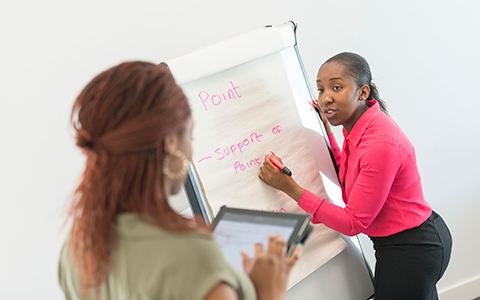 BA (Hons) Business Management offers a dedicated management route and three distinct associated programmes, which allow you to specialise in a specific area, while still learning the core skills of business and management. Consultancy enables you to gain an insight into the theory and application of the industry, Supply Chain Management is perfect if you wish to seek a deeper insight into the operation of the supply chain, while the Enterprise pathway provides a route for you if you are interested in the development and sustainability of new business operations. These courses will enhance your understanding of organisations and the environment in which they operate, will prepare you for a career in business and management, and enhance your skills to become a lifelong learner. Your learning will embrace the development and operation of business markets, the management of key resources including human capital, financial management, strategic management and cultural awareness. In addition, you will gain an insight into digital business exploring how technology has remodelled the business world and reflect on the accompanying issues around social responsibility and ethical behaviour. Our accreditation from the CMI ensures you will be provided with the latest information and knowledge, as well as providing key industry links and insight. *Please note that the year-long placement year is compulsory and you will be required to organise the placement with the support of our Placements Office. If you do not secure the placement, your course will revert to the standard BA (Hons) route. BBB or 120 UCAS tariff points from A/AS Level with a minimum of 2 A Levels. A Level / AS Level BBB at A Level (120 points). A maximum of three subjects are considered. Other 6-unit qualifications can be considered in lieu of one or two A-level subjects. Access to Higher Education Diploma Pass overall with 60 credits, 45 at Level 3 and 15 at Level 2. GCSE Mathematics and English Language at grade 4 or above or equivalent qualifications must be offered. GCSE Science is not required for Access students. BTEC National Diploma (12-units not including early years) / Pearson BTEC Level 3 National Diploma D*D*. Can be offered along with either one A-level, 2 AS-levels or one BTEC Subsidiary Diploma / OCR Cambridge Technical Introductory Diploma qualification to achieve a minimum of 120 tariff points. BTEC Extended Diploma (18-units not including early years) / Pearson BTEC Level 3 National Extended Diploma DDM (120 points). 30 points overall. Students who do not complete the IB Diploma will be considered on the basis of their IB Certificates and alongside other acceptable level 3 qualifications to meet 120 UCAS Tariff Points. Those completing the IB Certificates will require a total of 15 points or above from three Higher Level Subjects. Irish Leaving Certificate (Higher Level) Pass the Irish Leaving Certificate with a minimum of 120 tariff points, achieved in four Higher level subjects. This must include Maths and English Language taken at either Ordinary level (minimum grade O1-O4 (or A-C/A1-C3)) or Higher level (minimum H5/D1). Achieve a minimum of 120 tariff points achieved in either three Advanced Highers or from a combination of two Advanced Highers plus two Highers. Where three Advanced Highers have been taken achieve a minimum of grades CCC. Where a combination of Highers and Advanced Highers have been taken you must achieve (grades of CC in two Advanced Highers plus grades of CC in two Highers). Must be offered along with either two A-levels (grades B and B), two 6-unit BTEC Subsidiary Diplomas/ OCR OCR Cambridge Technical Introductory Diplomas (grades D and M) or a BTEC 12-unit National Diploma/ OCR OCR Cambridge Technical Diploma (grades DM). If you're considering applying for this course to start in September 2017 onwards, it's important to know that the UCAS tariff system has changed. UCAS tariff points – the points system most universities use to compare different qualifications – has introduced a new system on how points are calculated. This will be different to what you may have seen if you have applied or looked at undergraduate courses previously. In order to complete this course a student must successfully complete all the following CORE modules (totalling 100 credits). You will propose opportunities for the creation of value for a range of stakeholders, through the application of marketing concepts and practices. You’ll also demonstrate transferable skills, which are essential to a career in marketing and business. To do this, you will design an individual digital poster. In order to complete this course a student must successfully complete at least 20 credits from the following list of OPTIONAL modules. This module will introduce you to the concept of entrepreneurship. You will study the basic concepts and theories in entrepreneurship, how entrepreneurs develop and grow individually and what it takes to launch an enterprise. In order to achieve this there will be a range of case studies of successful / unsuccessful entrepreneurs, understanding entrepreneurship across borders and explore to what extent success of entrepreneurs could be based on the traits, styles and behaviours of the entrepreneurs. This module is intended to provide students with a broad understanding of what is meant by employee engagement, including how it can be linked to and yet be distinguished from other related concepts like employee involvement and employee participation. Enduring definitions like that of the Maslach Burnout Inventory or the Utrecht model which measure employee engagement through the three elements: vigour, dedication and absorption will be considered, as will the CIPD’s own work around the three dimensions of: intellectual engagement, effective engagement and social engagement. The aim of this module is to allow you to understand how Operations Management is involved in all disciplines, sectors and areas of business and its management – not just the traditional view within supply chain management. You will gain an understanding of the management of resources for producing and delivering products or services in today’s increasingly global market. It aims to equip you with the knowledge and understanding of operations management in terms of its design, planning, control and improvement. Alongside this you will learn to apply the concepts and techniques to practical issues and live case studies of current issues. This Module enables you to explore the broader roles of managers as consultants as they seek to align organisational systems, processes and activities within an increasingly dynamic external environment. You’ll be working individually, and within a group, to integrate theory and practice to tackle ‘real world’ organisational problems, issues and situations, presented through a case study. In doing so you’ll develop valuable practice-based learning through the use of relevant tools and techniques of problem analysis. In this module you will explore the role of entrepreneurship and small business management with the view of growth. You will investigate and explore how organisations firstly form, then how they begin to evolve. Students will examine how the organisations, their customers and key stakeholders may change as organisations grow to become long term sustainable businesses. Relevant content relating to new venture creation and small business growth theories will be delivered. This module takes as its starting point the assumption that management of organisations, large and small, is now usually done across national boundaries, this is due to competitive forces as well as technological and political changes. These dynamic shifts have led to the need for managers to have more than a passing appreciation of the cultures that various stakeholders come from. The stakeholders include customers, employees and suppliers as well as governments and competitors and it is the relationship between these and the manager which this module seeks to explore. You’ll address key issues confronting managers in a rapidly globalising 21st century where the fast changing global business environment and the dynamics of international shifts in economic power have led to an increased interest in responsiveness of organisations. Business Management and its associated programmes integrate theory and practice. As such, teaching methods are designed to be diverse, inclusive and to reflect the global context in which you will operate upon graduating. During your workplace Level 6, you will undertake a combination of block face-to-face delivery and be supported by our virtual learning environment to give you the blended learning experience to facilitate your engagement with the programme. The methods by which you are assessed reflect the diverse nature of the skills a Business Management graduate needs and typically include - but are not restricted to - coursework reports, essays, examinations, projects, posters and presentations.Your assessments will include individual and group work, to mirror the real world of work. A programme strength is the emphasis on practice-based assessment where the focus is on enabling development of the knowledge and attributes required to contribute to the workplace. During your second year, you will be able to take part in an international field trip, taking what you have studied and applying it to a global organisation. For example, students have visited the EU Parliament in Brussels, gaining valuable first-hand experience of an established international organisation. Our alignment to the Chartered Management Institute (CMI) ensures you leave the programme perfectly prepared for management in a range of industries, or your own business. On completion of your studies, you will have had opportunities to undertake live projects during years one and two, and worked with a real employer to fulfil the aims of the professional practice route. Business Management, and its associated programmes, incorporate modules specifically designed to build a professional and independent approach to study which facilitates lifelong learning. This course is designed to help you learn the skills that you need to fast-track into an entry-level management role, and that’s just what James Hartle did. He left university to work as a graduate Project Management Officer at Agilisys, an innovative IT and business service provider. Having conducted an industry placement with us, he developed his knowledge and understanding of topics to help him secure his role at Agilisys. With broad management and business know-how, other recent graduates have gone on to work as project management officers, business development coordinators and accountants, at companies such as Capgemini, Centre Tank Services and City Tax Accountancy. By doing a placement as the third year of your course, you will get paid whilst finishing your degree.